In a letter dated 15 January 2015 addressed to members of the Constituency Group, Chairman Andrews did not provide in-depth reasons for his decision, but said that his resignation would be effective as of 16 January 2015. 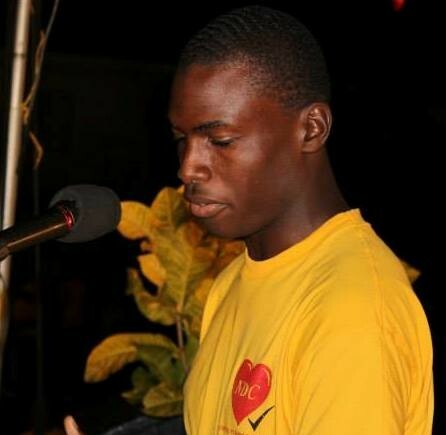 “I wish to notify you that I, Tevin C Andrews, herewith would like to tender my resignation from my position as chairman of The National Democratic Congress Carriacou & Petite Martinique Constituency Branch. With effect on 1/16/2015 with immediate effect. This wasn’t an easy decision however I appreciate the opportunities I have been given. I wish NDC continued growth and success in the future,” said that letter to members which was sent via email. “I am not able to confirm that to you,” said Nazim Burke, Political Leader of the National Democratic Congress (NDC) on Friday morning, when asked to confirm receipt of a letter or other means of communications about the resignation. The news of his resignation comes days after executive member Ali Dowden said in a radio discussion that Andrews was among the “young and fresh blood” that the NDC has being able to attract as new members. Dowden further explained that Andrews who is a former administrator in the Ministry of Carriacou and Petite Martinique Affairs during the reign of the NDC administration was doing so well that he was approached by ruling NNP to become the new senator following the death of deceased Jester Emmons. “But he refused that EC$8,000 offer to become part of the NNP,” Dowden told Brenda Baptiste, the host of “To the Point” on the Grenada Broadcasting Network. It is said that caretaker for the Party Harrison Fleary and Andrews are unable to work together. “The both of them don’t see eye to eye on many things with regards to the growth and development of the party in Carriacou,” said one member of the Constituency Group.